Auckland Transport has installed new pay-by-plate parking machines around the city – leading to confusion among some and queues as people figure out how to use them. A total of seven machines at a cost of $8500 each have been installed in Jellicoe Street carpark, Viaduct East and the Auckland Council staff car park at Manukau. To park you type in your registration number and then pay – no paper ticket is printed. The machines, which were installed earlier this month, have caused queues at peak times as people figure them out. Auckland transport spokesman Mark Hannan said the machines are more efficient than traditional machines as they require no paper and you do not have to go back to your car after paying for your parking. “Your registration number gets sent back to an app the parking wardens use, allowing them to keep an accurate record of how long you’ve been parked. “Because it does not issue paper tickets or receipts the machines require much less maintenance, ” Mr Hannan said. To get a receipt you have to get a code to enter online, and that frustrated Logan, who parked at the Jellicoe carpark every day. “I pay about $350 a week for parking and my work reimburse me so having no receipt is a real pain. “Everyday I have to go online enter the code, get the electronic receipt, find somewhere to print it and then give it to work – it’s annoying,” Logan said. Jan Petout found the machines easy to use. Another driver said she disliked not having a paper ticket, because she could not give it to someone if she did not use all of the time. Auckland Transport said in the coming weeks it will launch the AT Park app, which will operate in a similar fashion to the machines. The app will allow users to enter their registration number and the area they had parked. When they left, they tagged off the app and would be charged for exactly the amount of time they had parked. Auckland Transport said it has not had any feedback on the machines – as they had staff at the machines for the first week to assist people with them. The NZ Transport Agency has welcomed a Ministerial decision to refer its application for designation and resource consents for the East West Link project to a Board of Inquiry. The Transport Agency lodged its application with the Environmental Protection Authority (EPA) in December 2016. The EPA reviewed the application and recommended that it be treated as a matter of national significance that should be referred to the Board of Inquiry. The Transport Agency’s Auckland Highway Manager, Brett Gliddon says the Board of Inquiry will give the public and stakeholders an opportunity to provide feedback on what is proposed, while also providing industry with more certainty on the timeframes for the delivery of the project. “The East West Link will be a vital connection in the transport network that keeps Auckland moving. Its location is at the heart of the country’s industrial and manufacturing industries. It also plays a crucial role in the economic growth of all New Zealand,” says Brett Gliddon. The project will build a new four lane road between the Neilson Street Interchange at State Highway 20 and the Mt Wellington Interchange on State Highway 1, and widen State Highway 1 between Mt Wellington and Princes Street. It will also create new and improved connections to local roads in Onehunga and Penrose, relieving the current congestion experienced across the day on Neilson Street. It will also create a seamless walking and cycling path from Onehunga to Sylvia Park. It’s hoped construction can start in 2018. The Transport Agency has been working with Auckland Transport and the community since 2013 to develop the design and plans for the East West Link. There will be opportunities for ongoing design work and engagement with the community during the next stages of the project. Details on how people can make submissions and get involved in the Board of Inquiry process are available on the EPA website: http://www.epa.govt.nz/Resource-management/. The Transport Agency has published details of its application and supporting documents on its website and encourages people to look at them and ensure they’re fully informed. The documents and more information about the project can be found at www.nzta.govt.nz/ewl-epa. JOHN VASTA – Work is underway to repair State Highway 1. OPINION: When the Kaikoura earthquake obliterated the rail line between Picton and Christchurch and sections of State Highway 1 along the same route were submerged in rocks and debris, the fragility of the country’s transport network were fully exposed. It was an embarrassment for New Zealand. It showed that the main transport connection between the North and South Islands was deficient, overly dependent on road transportation and along a route totally unsuited for big rig trucks. Every year on windy road sections along the Kaikoura coastline heavy trucks roll over injuring and even killing the drivers. 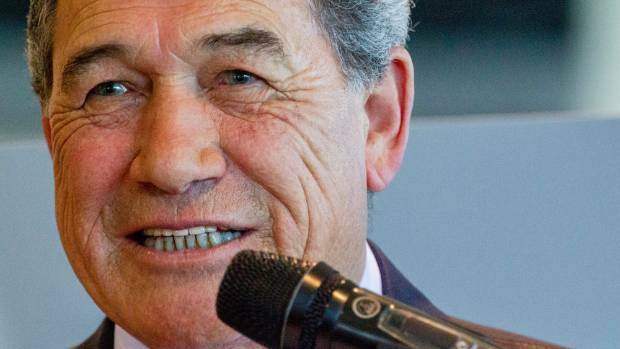 RICKY WILSON/FAIRFAX NZ – The earthquake presented the opportunity to have a rethink and come up with a better North Island-South Island transport strategy, writes NZ First leader Winston Peters. On the notorious Hundalee Hills section south of Kaikoura, trucks create enormous problems for other traffic, causing delays and safety risks. The earthquake presented the opportunity to have a rethink, to reassess the whole situation and come up with a better North Island-South Island transport strategy – incorporating road and rail and what has been run down over many years – coastal shipping. All this faded away so that today we have only five interisland ferries and five other vessels carrying containers, oil and cement. Following the earthquake, the government-appointed North Canterbury Transport Infrastructure Recovery (NCTR) looked at transportation possibilities for the future, one of which included beefing up shipping to carry freight. If adopted this could have presented the chance to make the rebuilt road a heritage-scenic route. However, NCTR gave shipping scant attention and plumped for one thing only – a rebuild of SH1 – making the road wider to handle bigger and even more trucks. That means more truck roll overs; more problems in the Hundalees; the chances of having a revitalised coastal shipping service have disappeared and so too has the possibility of developing a coastal-heritage route to draw holidaymakers and tourists. It is sad for the Marlborough and Kaikoura districts, as well as New Zealand, that the big truck lobby has won. Foresight has gone out the window and a wonderful opportunity has been lost. Color Line and Ulstein sign a firm contract on construction of the world’s largest plug-in hybrid vessel. The environmentally sound ship will be servicing Sandefjord – Strömstad from summer 2019. Ulstein won the contract in competition with several other yards. It has now been decided that Ulstein Verft will be constructing Color Line’s new hybrid vessel. “It is very gratifying that the Norwegian shipbuilding industry has proven its competitiveness internationally, and that Color Line contributes to the further development of the Norwegian maritime industry,” says CEO Trond Kleivdal at Color Line. “We are very pleased that Color Line decided to proceed from a Letter of Intent to a firm contract on the construction of this hybrid vessel. This is an important milestone for us, and we are looking forward to the further cooperation with Color Line”, states CEO Gunvor Ulstein at Ulstein Group. The natural environment is an accelerator to Color Line. The vessel takes into use new solutions to reduce noise and emissions. The ship will be a plug-in hybrid, in which the batteries are recharged via a power cable with green electricity from shore facilities or, as a secondary alternative, recharged on board by the ship’s generators. With shore power in Sandefjord all Norwegian ports on Color Line’s network will have shore power facilities. The ship will have full battery power into and out of the fjord to Sandefjord inner harbour. It will therefore not give emissions of harmful greenhouse gases or nitrogen and sulphur compounds in this area. The 160m vessel, with the working title “Color Hybrid”, can take on 2,000 passengers and 500 cars. It will have almost double capacity as M/S “Bohus”, which is scheduled to be phased out when the new ferry will be put into operation in summer 2019. The ship will provide significantly increased capacity on the route between Norway and Sweden, and will represent expanded and improved services on board and thus a new and better travel experience. The new vessel will be built according to Norwegian flag requirements and registered in the Norwegian Ordinary Ship Register (NOR). Color Line is currently the only company in the international passenger and freight traffic to and from Norway with ships registered in the Norwegian Ship Register and with Norwegian headquarters. The total employment effect of the ship construction represents approximately 950 man-labour years, according to an analysis by MENON. The year 2016 ended as another painful one for the oil, gas and shipping industries in Asia. The travails of the industries in Asia reflect the global slump in oil, gas and shipping, which resulted from a variety of factors, the biggest being slow global economic growth. Owing to the decline in oil and gas prices, oil majors and contractors have been badly hit. From a high of $118 per barrel in June 2014, oil prices fell to below $30 and are now hovering at around $52 a barrel. Oil majors have started cutting costs and laying off personnel. The effect of the price slump has blown into a worldwide crisis with the global oil industry’s cut down in capital investment reaching $1 trillion. While oil prices have gradually recovered from their lows, many companies that had been affected by the prolonged slump have gone out of business. The oil and gas slump has had a direct effect on the offshore marine industry. Vessels are needed to send drilling equipment and supplies to offshore rigs, for oil transportation to onshore facilities and for oil storage in tankers. Additionally, workers need to be moved to and from the rigs. The decline in fuel prices reduced the number of rigs that could be economically operated, and the subsequent knock-on effect meant that fewer contractors and vessels were needed. In the coming months, offshore support vessel companies may have to merge to strengthen their market positions. This is either due to a squeeze on margins because of rig owners cutting back on spending, or due to fewer construction contracts being issued. Shipping, too, has suffered a decline, with major carriers suffering large losses. Major shipping lines have had to rethink their survival strategies to be in keeping with the global shipping slump. As a result, consolidation is being witnessed as Asia’s shipping lines are faced with growing challenges. For example, at the end of 2015, CMA CGM SA, the world’s third-largest container-shipping company, acquired Singapore’s Neptune Orient Lines. This is a trend that is likely to continue in the coming months. In April 2016, Hanjin Shipping, South Korea’s largest container line and the world’s seventh-largest container carrier, applied to its creditors for debt restructuring to avoid bankruptcy. Four months later in August, it filed for receivership after banks, led by the state-run Korea Development Bank, withdrew support. And a few days later, it filed for bankruptcy protection in the U.S. to protect its vessels and cargoes from confiscation by creditors. There was considerable disruption to Hanjin’s containerized cargo, with vessels arrested and many containers stranded in various ports worldwide, containing an estimated $14 billion in cargo. Major Hanjin clients such as LG Electronics have switched to other shippers while Maersk Line, the world’s largest container shipping group, is benefiting by picking up new customers on major trade routes. The Hanjin bankruptcy is emblematic of the industry’s troubles and just one example of shipping majors facing the pressures of muted global trade growth. Dozens of chartered bulk and container vessels have been redelivered early, and that has increased available tonnage in already over-supplied and weak sectors. The silver lining is that the supply of container ships has tightened to an extent. Average shipping rates in December between Asia and the U.S. were 15 percent higher than in July. Shipbuilding has been a key driving force for the South Korean economy, with ships accounting for 7.6 percent of its exports in 2015. But things are changing. New vessel orders won by South Korean shipbuilders in the last nine months of 2016 were down 87 percent from the same period last year. Meanwhile, in the first three months of 2016, Korean yards won just eight orders for commercial ships with a total compensated gross tonnage (cgt) of 170,000, a large decline from the order of 68 vessels with a total cgt of 2.89 million a year earlier. With the reduction in demand from global shipping companies since the 2008 global financial crisis, increasing competition from lower cost Chinese shipyards and further stagnation of global trade volumes, Korean shipyards have faced fundamental headwinds to their previous dominant position and are all having to adapt to painful restructuring processes. The Korean government has pledged to pump $9.5 billion into banks that made large loans to the yards and are now suffering losses. The government will also close 7 out of 31 docks that are used by the region’s top three shipbuilders and shed their combined workforce from 62,000 to 42,000 to reduce capacity in the hope of restoring competitiveness. These rounds of difficult workforce reduction bring with them serious social and political spillover effects. Besides the fact that the shipbuilding industry is associated with national pride, the massive layoffs will have an adverse impact on local economies where the shipyards are based. A similar scenario is playing out in China, which has seen a wave of shipyard bankruptcies. In fact, more than 20 medium- to large-sized shipyards in China have shut operations since the beginning of 2015, mainly owing to overcapacity, and the industry’s prospects are not promising. It is estimated that the Chinese shipbuilding industry needs to be trimmed by another 30 percent or more to address excessive tonnage and for the market to start recovering. In such a context, the wider industry is starting to witness consolidation as shipbuilding companies and shipping lines alike look to take measures to limit losses and boost efficiency. In February 2016, China’s COSCO shipping corporation—formed through a merger between China Ocean Shipping Company and China Shipping Group—was launched, creating one of the world’s largest shipping fleets. At the time, the chair of China COSCO stated that mergers were going to be a key way to ride out the “the most difficult period that we are experiencing since the financial crisis” by benefitting from economies of scale. This approach is seen elsewhere, too. Recognizing that container lines now need immense scale to remain competitive, Japan’s three biggest shipping companies—Nippon Yusen Kaisha, Mitsui OSK, and K Line—announced a plan to merge their container operations for a new joint venture due to start in July 2018. The deal creates the world’s sixth-biggest container fleet with 7 percent of global capacity. Eventually, given the stagnation in trade, one viable option for the industry is to consolidate. Three prominent Asian economies—China, Korea and Japan—have all started seeing consolidation in the past year, and it is a trend that will reshape the regional shipping industry. Two rail sidings at KiwiRail’s Southdown freight hub have been transformed to accommodate “giant” forklifts able to carry 80 tonnes of containers in order to improve the transfer of freight around the North Island generated by the new “mega ships” calling at the Port of Tauranga. KiwiRail chief executive Peter Reidy says the upgrade illustrates his business’ commitment to support its customers’ growing demand in the aim of working collaboratively to “boost New Zealand’s exports and grow the economy”. “The increasing traffic from North Island ports and the arrival of mega ships carrying thousands of containers means KiwiRail needs to ensure we have the capacity to support this increased demand,” he says. “As well as enabling our customers, the upgrade will lead to improved safety, increased reliability and greater efficiency of our rail services. Involving 1200 cubic metres of concrete and 10,000 cubic metres of asphalt, the sidings were transformed in a ten-day, 24-hour operation entailing over 9000 worker hours. New Zealand’s coastal shipping industry should be exempt from the Government’s Emissions Trading Scheme (ETS) in order to remove a “substantial burden” on a sector “that is well understood to be environmentally efficient”. Such is the tenor of a submission to the New Zealand ETS Review made by New Zealand Shipping Federation executive director Annabel Young. Ms Young says the recent increase in the ETS charge to 1.42 cents per litre will add a substantial operational cost on her members, which international vessels bunkering in New Zealand are exempt from. “This gives those ships a legislated advantage over New Zealand-based ships,” states Ms Young. “This is significant as the international and New Zealand-based ships compete directly for local cargo, that is, between New Zealand ports. Ms Young says it is her members’ understanding that the international norm is for bunker fuel to be considered outside various carbon disincentive schemes that are in place around the world. “We believe that this reflects the wide acceptance of the relative efficiency, especially carbon efficiency, of ship operations. Hamburg Süd’s container volumes on the major east-west tradelanes will transfer to the 2M alliance of Maersk Line and Mediterranean Shipping Company as of April 1 this year. Covering Asia-North Europe, Asia-Mediterranean, Trans Atlantic and Trans Pacific services, the new slot purchase agreement has been reached in anticipation of Hamburg Süd terminating its existing agreements in the tradelanes ahead of its acquisition by Maersk. Hamburg Süd executive board member Frank Smet expressed satisfaction with the development. “Our customers will benefit from extended port coverage, best transit times, and an increased number of loops in the east-west trades,” he says. The parties are expected to soon disclose information about consequent network changes and schedules. Maersk and Hamburg Süd are party to a number of such operational agreements worldwide. However, the former has stated this particular agreement is not related to its pending acquisition of what is currently the world’s seventh-largest containerline, with Hamburg Süd operating 130 containerships, equating to total capacity of 625,000 TEU. Expected to be completed at the end of this year, that acquisition will provide Maersk — already the largest global containerline — with 741 containerships, equating to total capacity of 3.8 million TEU (18.6% share of global capacity). Two newbuild Kalmar straddle carriers are expected to be in operation at Port Otago this September under the port’s ongoing fleet replacement programme. Replacing two 16-year-old models from Port Otago’s existing fleet of 15 Kalmar twin-lift straddle carriers, the €1.6 million investment will entail one ESC350 and one ESC450 model, which are capable of three-high and four-high container stack lifts respectively. Port Otago chief executive Geoff Plunket says the new straddle carriers — which are also diesel/electric models — will “definitely” improve operations. “You only have to look at a car and how it has advanced in the past 16 years,” he notes. Mr Plunket says the business aims to introduce new straddle carriers every two to three years and has a policy of deliberately ordering in pairs so as to limit the technological differences across the entire fleet. In a similar vein, he says the port has also made the deliberate decision to stay faithful to the one manufacturer. 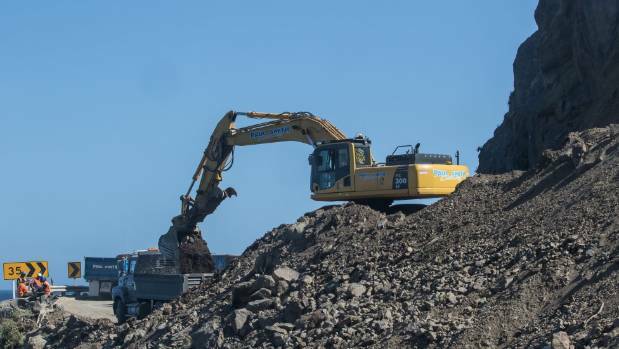 The investment does not form part of Port Otago’s ongoing $45 million Next Generation Project.